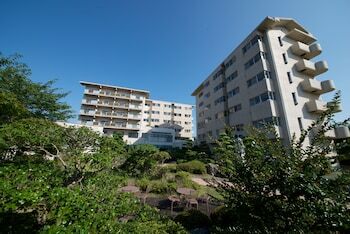 With a stay at Matsushima Kanko Hotel MISAKITEI in Kamiamakusa, you'll be just steps from Ryukyu Islands and Harajo Onsen. Featured amenities include complimentary newspapers in the lobby, a 24-hour front desk, and luggage storage. Event facilities at this hotel consist of a conference center and a meeting room. Free self parking is available onsite. With a stay at Kotoha Kiyomizu - Guest House In Kyoto in Kyoto, you'll be within a 15-minute walk of Kiyomizu Temple and Sanjusangendo Temple. With a stay at this apartment in Kyoto (Arashiyama), you'll be within a 15-minute drive of Saihoji Temple and Katsura Imperial Villa. With a stay at Ryotei Kaichoro in Shibukawa, you'll be just steps from Harunako Onsen and Ikaho Green Bokujo. The front desk is staffed during limited hours.